LENID DA NANG HOTEL was established and put into operation from 02 May 2015. 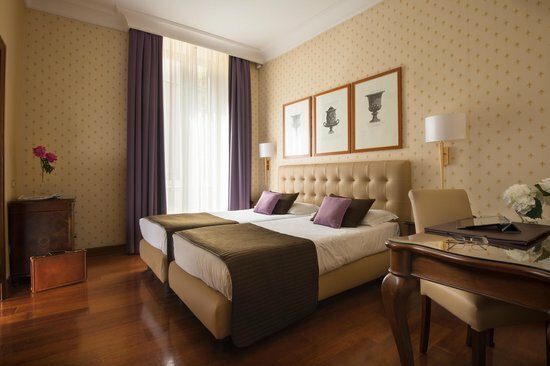 This is a qualified 3-star hotel with the number of 56 well designed and comfortable rooms. Our luxurious and elegant hotel will definitely conquer customers right from the first visit. Located in a prime location, very close to the Pham Van Dong beach and Han River bridge, guests staying at LENID DA NANG HOTEL will be very easy and convenience to access the places for entertainment, recreation, shopping, local food as well as visiting the beauty attractions of Danang city. – 05 minute walk to the beach. – 10 minutes drive to Danang International Airport. – 10 minute ride to the spectacular view of the Dragon Bridge. – 10 minute ride to the famous bazaars Danang – Han Market. – 10 minute walk to the symbol of Danang – Han River Bridge spinning at midnight. – 10 minute ride to visit the Son Tra Peninsula. – 15 minute ride to two world-class golf destinations: Mongomerie and Danang Golf Club. LENID DA NANG HOTEL is committed to be the ideal place to stay for both travelers and long-term business customers. With warm space, luxurious design, and perfect service, LENID DA NANG HOTEL will give you a sense of the familiar and comfortable, In addition, the hotel also provides free services such as high-speed WiFi, coffee & tea, consulting bookings travel programs; cruise ship ticket, airfare, shopping advice,…. Coming to LENID DA NANG HOTEL, you will always feel comfortable on the highest quality service, best after sales service.